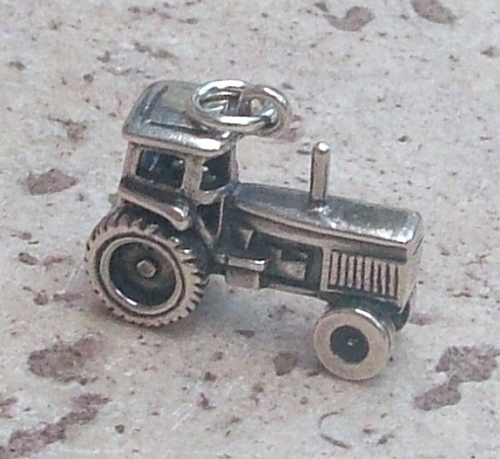 Sterling silver charm modeled after a farm cab tractor. Original created as a wax model and reproduced in precious metals by the lost wax casting method. All stages are performed by hand. Surface is oxidized to highlight detail and finished with a mirror polish. Charm size is 1" long by 3/8" wide by 1/2" tall. It is suitable for a charm bracelet or a necklace. Jump ring is included.